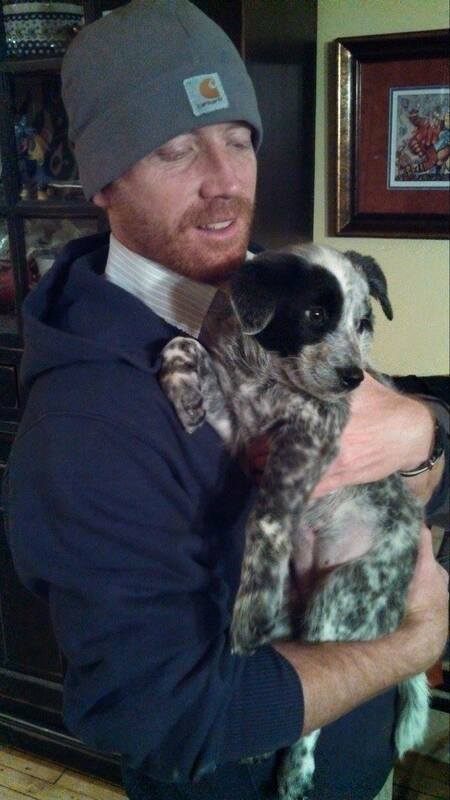 For weeks, Rick has been utterly obsessed with the idea of getting a puppy. And, though I love dogs, I was pushing back on the issue because I thought we should wait until we have a bit more stability in our lives before adding a little ball of chaos. Maybe I was a bit scarred by our loss of little Elsa last year. I don’t know exactly what it was but I had the brakes on, HARD. Typical of Rick, he kept up his pursuit without my support, incessantly raking the internet for nearby puppies and coming back at me with new puppies and new rescue dogs almost daily. I was going along with it, but nothing really piqued my interest until yesterday. We wanted a rescue in many ways, but I really wanted a puppy too. I also am extremely partial to Australian Shepherds and Heelers, but we were finding a lot of lab mutts in the rescues. 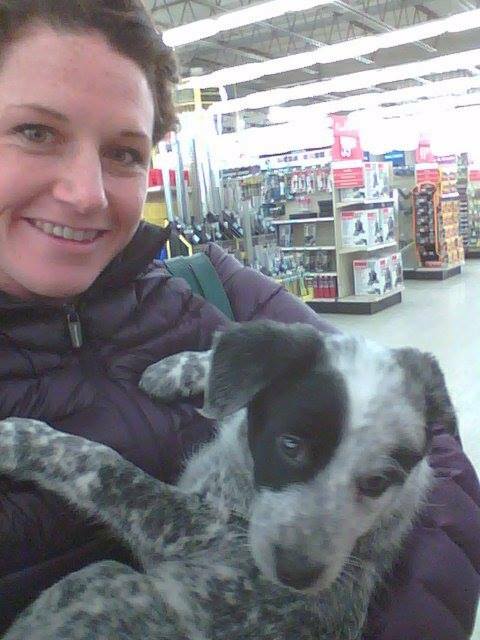 We just weren’t hitting our stride on the issue – then suddenly we found a small rescue that had 8 week old Australian Shepherd/Heeler mixes – and it was just 30 minutes from my parent’s house! He finally has his puppy! After a crazy weekend with Valentine’s Day, selling my baby (my first Subaru!) on my birthday on Saturday, and my whole family in town for an engagement party for my sister, Max, on Sunday, by Sunday evening Rick and I were ready to take some time to ourselves and look at some little puppies. We went to the Muttley Crew rescue and met the whole litter of pups from a pregnant heeler who was rescued from an abusive situation just a day before she gave birth. The puppies were all sweet and playful, but one seemed to latch onto us – Garnet, so named for her eyeshadow-like spot over her eye. It didn’t take long for us to decide she was the one for us. She was energetic, friendly, and eager to play. 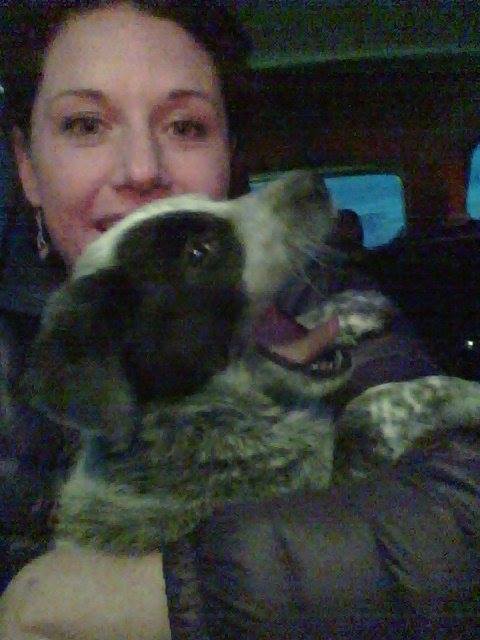 After some paperwork, a little microchip shot, and a trip to the hardware store for a crate and other dog gear, she was on her way home with us! I fell for her faster than I ever would have expected – as Rick drove, I zipped her into my puffy jacket for warmth and she nuzzled into my armpit and quickly fell asleep. It slayed me. 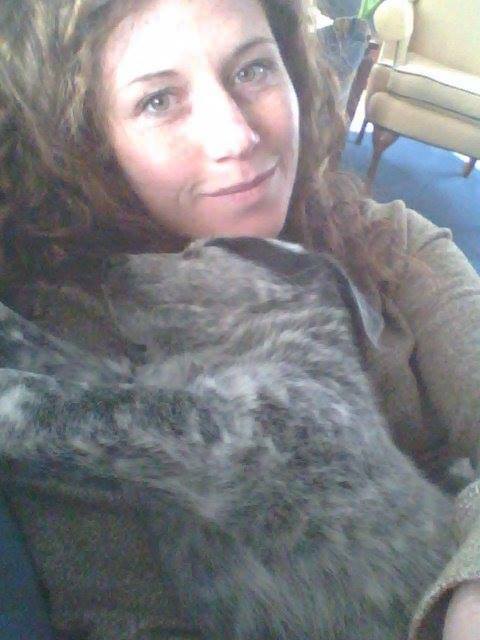 I have been nuzzling my face into her soft puppy fur all day,taking in the distinctive smell of puppy. Rick too, is over the moon. Last night as we put her in her crate he gave her a pep talk about how proud he was of her on her big day. I fell so in love – again – with both of them. 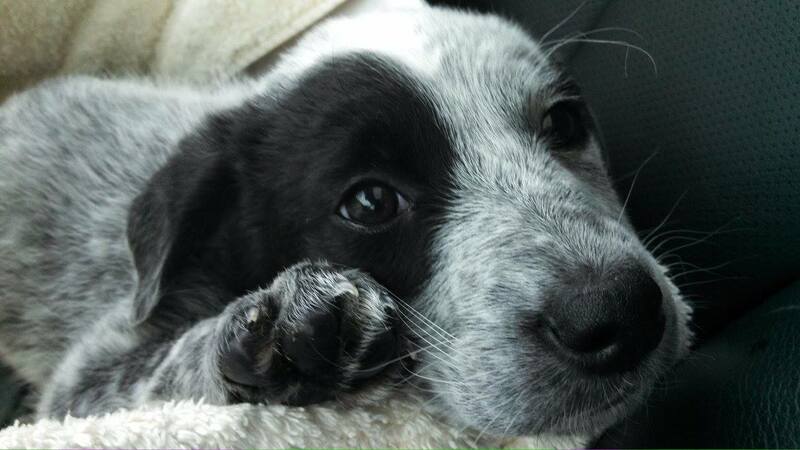 We decided to call her Adelaide – a tribute to Australia and an adorable name. Little Addy – my baby! I will try not to obsess too much about her going forward, but hell, this blog is about love, right?